Let’s assume your plan was to regularly go to the gym. You’ve been following that fitness program for a few weeks, but you haven’t seen any visible results. Your enthusiasm has now depleted like a punctured balloon, and you’ve discovered plenty of reasons for skipping the gym. Soon, your sport’s bag is tucked under the bed and you are back on the couch watching Netflix. Chips, chocolate, and red wine at hand, you silent that nagging inner voice of yours. So, why do New Year’s resolutions almost never work? 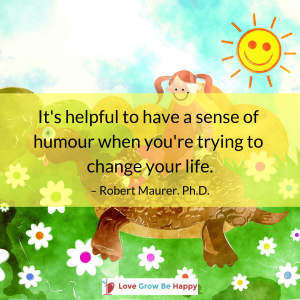 A clinical psychologist Robert Maurer, Ph.D., offers an explanation and an alternative to resolutions in his book, One Small Step Can Change Your Life. The Kaizen Way. Let’s have a pick, shall we? Choose BIG goals and dramatic means to achieve them. Like going on a killer-diet that prohibits all the foods you enjoy, costs you money and time, but leaves you constantly hungry, irritable, and frustrated. The human brain isn’t keen on changes, at all. It doesn’t matter if the change is for the better or for the worse – all change is scary. Your emotional brain becomes alarmed by any challenge or opportunity, causing you to feel fear. Just think of going to an exam or a job interview, driving in an unknown town, moving abroad, meeting a new person or dating again. It can be nerve-wracking. Thinking historically, although, it makes sense. Our pre-ancestors lived dangerous lives. They weren’t very strong or fast, and they didn’t have any shells to crawl into to wait for the danger to pass. They could easily become dinner for a large predator in the jungle if they weren’t constantly on alert. So instead of protecting you from the danger of extermination, it makes you tremble with fear in situations that your brain views as a threat. Feelings of fear freeze your thinking, acting power, and creativity by impeding the access to your cortex – your “thinking” brain. So there you are–unable to think clearly and remember anything you’ve learned for your final test (and feeling cold sweat running down your spine). But here’s the good news: we can do something about it, and one of the solutions may be kaizen. Attempts to reach goals through radical or revolutionary means often fail because they heighten fear. But the small steps of kaizen disarm the brain’s fear response, stimulating rational thought and creative play. It’s about taking steps so tiny, they don’t bother you at all. What Is Kaizen and Why Does It Work? Kaizen is a philosophy and a strategy to achieve specific goals through small steps. It was first implemented in the US to improve productivity and to accelerate manufacturing capacity during WWII. Later, they introduced it to Japanese manufacturers, and it helped to rebuild their industry destroyed by the war. That’s where it got its name. Nowadays, it has been used for achieving personal goals, such as perfecting a certain skill in sports, business, personal development, and other areas of life. 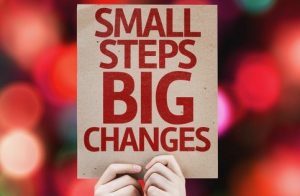 By taking small steps, you’ll not only rewire your brain to bypass fear, but you’ll also build brand-new neuronal connections to support new skills important to achieving your goal. Kaizen is an effective, enjoyable way to achieve a specific goal, but it also extends a more profound challenge: to meet life’s constant demand for change by seeking out continual – but always small – improvement. There are six kaizen strategies we can apply in our personal lives, according to the author. Your brain has loved question since you were kid. 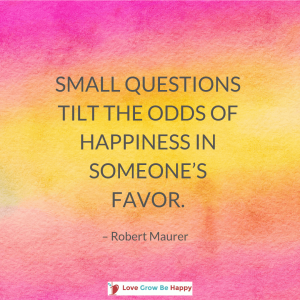 According to Robert Maurer, Ph.D., small questions dispel fear and create a mental environment that welcomes creativity and playfulness. When you ask small questions of others, you channel that creative force toward team goals. By asking small questions of yourself, you lay the groundwork for a personalized program for change. Small questions allow your brain to focus on problem-solving, because the access to your cortex (or “thinking” brain) remains open. 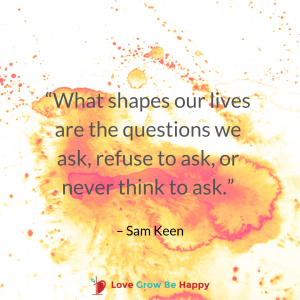 So, how do you practice the habit of asking yourself small questions? First, choose a question related to your goal. Then ask yourself this question repeatedly for several days or weeks. It is best to do this regularly, at the same time of a day, let’s say over morning coffee. What is a small step I could take to reach my goal? How can I incorporate five minutes exercise into my daily routine? What is the small step I can take to be more efficient? What is one step I can take to improve my relationship? What is one small thing that is special about my partner/colleague /parent? Every day, ask yourself this question: “What is one thing I like about myself today?” Write your answer down in a journal. Thinking small thoughts helps you, according to the book, to develop new skills and habits without moving a muscle. I understand your skepticism, but nevertheless, science has proved that it works. They call it mind sculpture. All you have to do is pretend that you are engaged in some action of your choice … like dancing the Charleston. It’s not only about seeing yourself swinging your legs and arms. It’s also about activating all your senses – feeling your feet touching the floor, your muscles contracting, following to the beat, hearing the music, smelling and tasting the sweat, and going through the entire span of emotions! The funny thing is that your brain can see no difference between the imaginary activity and the real one. When you “practice” using all your senses, your brain chemistry starts to change. It builds new connections allowing new skills to develop, so you’re prepared for the chosen task. P.S. Use small questions to generate ideas for mind sculpture! No matter how much you practice small questions and thoughts, action must follow. Taking small actions will guarantee you success, because they will by-pass the fear of failure and melt any resistance that may awaken in your brain. Let’s say, your goal is to begin an exercise program. Your kaizen action would be the following: Stand on the treadmill for a few minutes every morning. 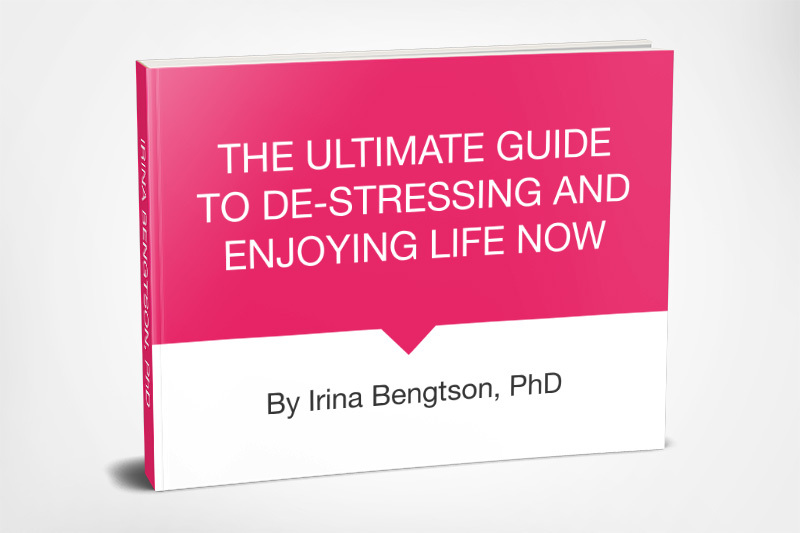 If your goal is to manage stress, do the following: Once a day, note where your body is holding tension (your neck? lower back? shoulders?). Then take one deep breath. Or do you want to get more sleep? Go to bed one minute earlier at night, or stay in bed one minute later in the morning. It may sound ridiculously small, but if you are patient, it will take you to your goal. Small actions take very little time or money, and they are agreeable, even to those of us who haven’t laid up bulk supplies of willpower. Small actions trick the brain into thinking: Hey, this change is so tiny that it’s no big deal. No need to get worked up. No risk of failure or unhappiness here. By outfoxing the fear response, small actions allow the brain to build up new, permanent habits–at a pace that may be surprisingly brisk. What Else Does Kaizen Offer? Recognizing the small but crucial moments that everyone else ignores. You’ll find examples and practical advice on how to practice Kaizen in your everyday life and achieve your goals at a slow but comfortable pace. As you already know, kaizen can help you change many aspects of your life – to kick a bad habit, ease the loneliness, break out of an unsatisfying career, steady a sinking relationship, or improve your health. You don’t even have to apply all six kaizen strategies at once – choose what works for you.